I am Marc Turley and I have just had the privilege of being an intern for the Department of Library Special Collections. This is my last semester here at WKU and I will be graduating with a double major in history and social studies and a minor in business administration. As a history major, I have always respected the importance of historical documents and articles, whether they be local or from a governmental organization, as they allow us to see how we have developed to this point. In these past few months, I have worked on several projects that have only furthered my drive to work in a historical institution. When I received an email advertising an internship with the Department last semester, I originally thought the position would consist of simple busywork, but after starting I was surely mistaken. 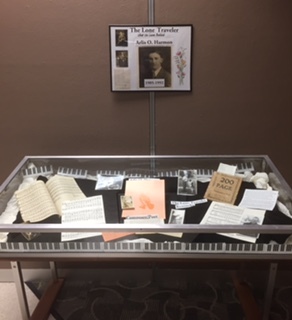 In the Department of Library Special Collections I was able to glance into the life of our predecessors through their photographs, correspondence, and even the maps that they left behind. 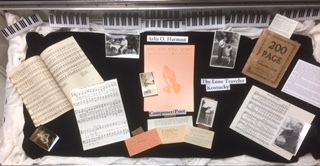 On the Kentucky Library Research Collections side of the department I was able to work on cataloging old photographs and handcrafted maps of local Kentuckians, indulging my personal passion for maps. In the Manuscripts and Folklife Archives unit I helped to typescript letters from Noah S. Pond, who came to Kentucky from Connecticut early in the 19th century, scan industrial reports of Kentucky counties and post them online, and organize a collection of letters from the Vietnam era that offered a glimpse into the lives of Kentuckians from that time. 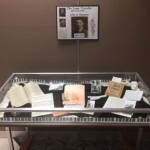 By making all these materials available online, whether they be a simple catalog entry or full text, we are encouraging others to visit the Department of Library Special Collections and experience its resources firsthand. 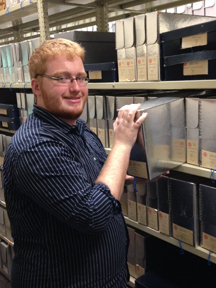 Gabe Sudbeck, summer intern in Manuscripts. “Everyone has a story and I want to know what it is.” These words were spoken by the late WKU history Professor Carlton Jackson. This notion has formed a phrase that has stuck with me since I read them. 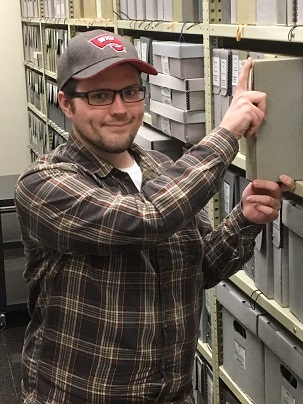 My name is Gabe Sudbeck and during my time as an intern in WKU’s Library Special Collections Manuscripts unit, I spent a lot of time reading his work and looking over his research about the HMS Rohna and the 1918 flu epidemic. When I was home one night talking with my mother about my internship, and I found out that she (a WKU Alumna) had actually been a research assistant with Jackson during her time at WKU. She said that he was a wonderful man. While I personally never had the honor to meet him in person, I do believe that he was a fine man full of energy and passion for his field. The stories that I read about in the collection concerned regular people dealing with survival and tragedy in world events. The sinking of the Rohna for example was a tragedy in which over 1000 American men lost their lives. Many were left adrift for three days. Many men began to think of their loved ones. One story featured a man lost at sea who could hear his wife telling him that he could pull though. Another consisted of a priest recalling the story of a member of his church who refused to be baptized due to fear of being submerged under water which reminded him of being adrift at sea for three days. 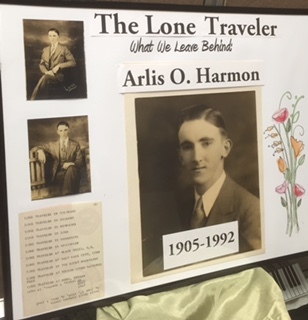 One thing I learned from the internship is the personal connections that the researcher makes with his subject when he begins to study a historical event or person. I have heard stories that David McCullough, when researching John Adams intended for it to be about both Thomas Jefferson and John Adams. But McCullough found Adams to be more interesting and under appreciated, despite his significant contributions. McCullough truly enjoyed his discovery and his research; in the same spirit Carlton Jackson relished each of his writing projects. If I have learned anything from studying his work, it’s that we all have our own story to tell from the greatest of tragedies to the minutiae of everyday life. 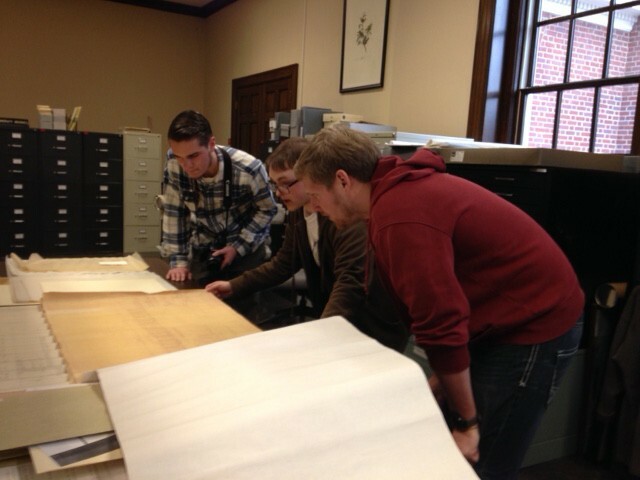 Ryun Warren, center, reviewing architectural drawings with fellow members of American Institute of Architecture Students. My name is Ryun Warren, and I am a junior at WKU majoring in Architectural Sciences. 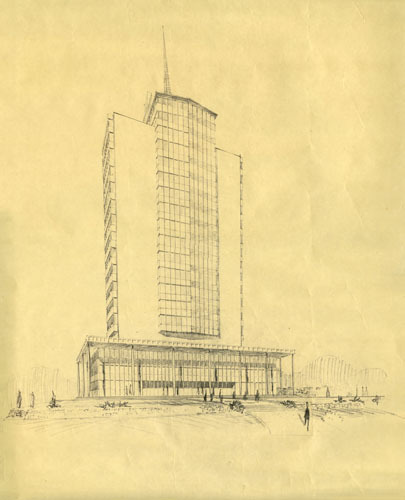 This semester (Spring 2015) I had the opportunity to research, process, and catalog over two hundred sets of construction drawings pertaining to several projects on campus dating from the 1930s to the 2000s (UA30/1/1). Within these documents I was able to see how the design and drafting process has evolved over time, especially in regards to major technological advancements in the field (i.e. Computer-Aided Drafting (CAD) software). The art of hand drafting has almost become a lost art with the efficiency of computer software in a fast-paced society. 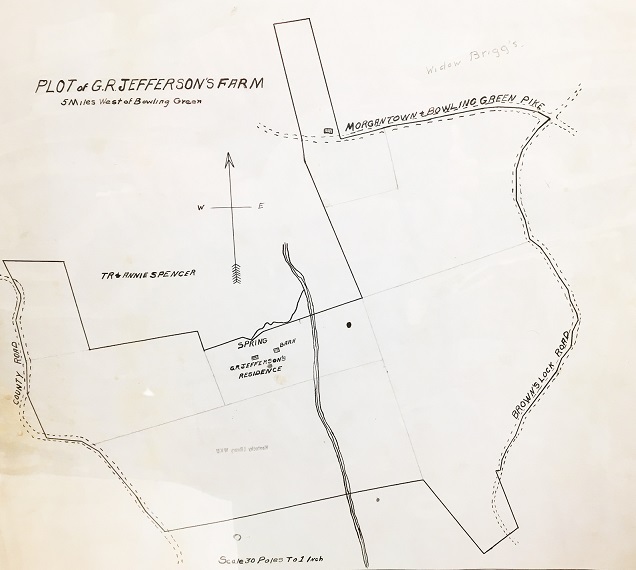 However, the majority of these sets of construction documents were hand drawn and reveal the level of detail and thought given to each building that is or has been a part of The Hill. From Van Meter Hall to the original Ogden College buildings, from iconic Cherry Hall to Diddle Arena, I was fortunate enough to be able to not only study architectural history but to study the history of our college campus, its story throughout time as told through its construction. The importance of preserving this story was impressed upon me throughout my stay in the WKU Archives. Proper storage is the only way to ensure that these beautiful drawings withstand the test of time and are available for future generations to study and admire. 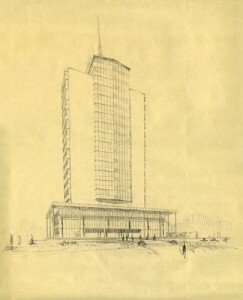 With over two hundred sets of drawings stored in various locations, a detailed catalog must be kept. I was trained to enter these drawings into PastPerfect – the cataloging database software used by WKU Library Special Collections to easily sort and process all of the documents, photographs, and manuscripts within its possession. These are available online through KenCat. In addition to PastPerfect, I created and maintained a detailed spreadsheet specifically for the construction documents containing such information as project title, associated buildings, drawing dates, architect(s) of record, and references to the PastPerfect photo entries where applicable (UA1C9). This experience has truly been informative as both a study of architecture and a study of my WKU home. The history of this campus as told through its buildings is arguably as telling as any other means of relating the history of how The Hill came to be. Likewise, the proposed buildings and the thought of what WKU could have looked like if a different design won a bid provokes thought as to why a certain bid may have won and how people would interact differently with campus and with each other.